This piece is signed by Teresa Dudley and Koni Cousien. 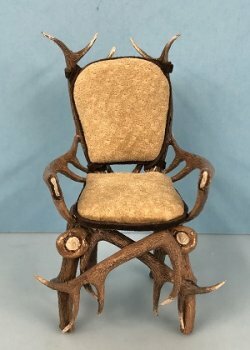 The chair is 2 1/2" w x 2" deep x 3 3/4" tall. It has a soft cushion seat out of Swede type material.